The Rio 2016 Olympic Games have started. 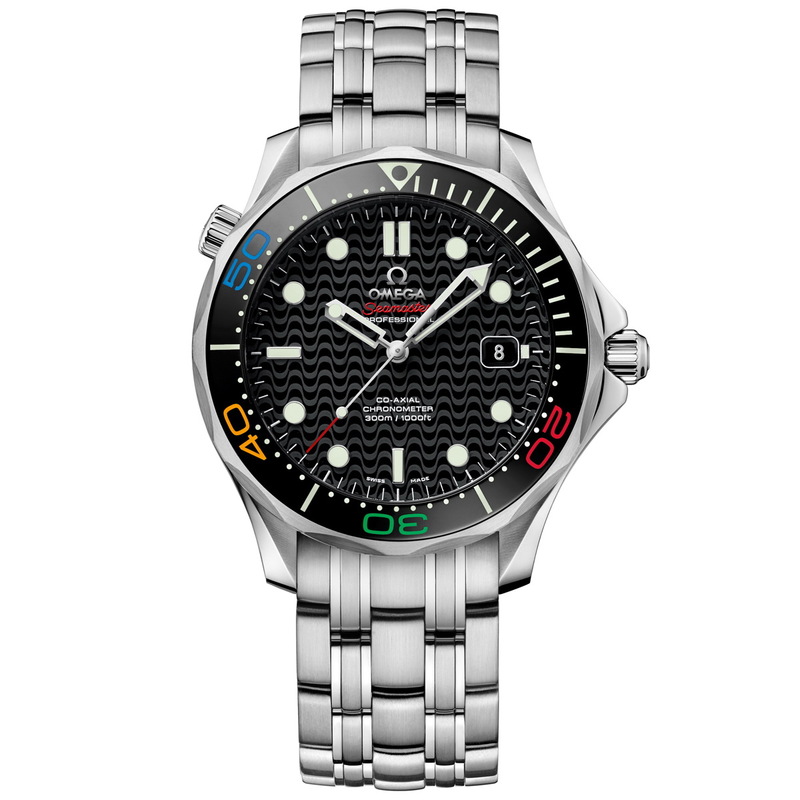 Here are two divers models that Omega have released in celebration of the games. 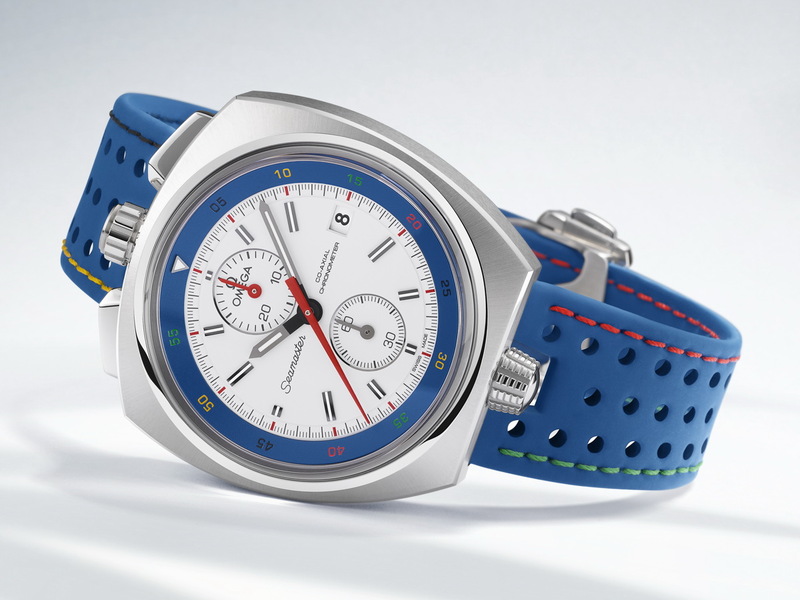 1st up is the BULLHEAD Rio 2016 Limited Edition with its iconic design and colors inspired by the 5 Olympic rings. The Bullhead is distinguished by its dual chrono-pushers that are sat at the top of the case like a bull’s horns. Then the Olympic theme takes over with a blue leather strap linking directly to the Rio 2016 Olympic Games logo, and subtle contrasting stitching along each side in yellow, green, red and black echoing the iconic Olympic rings. The Olympic color theme is carried onto the 60-minutes rotating inner-bezel. 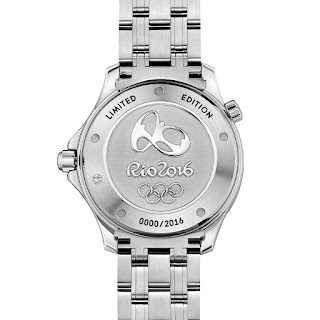 Like its predecessors the Bullhead Rio 2016 LE also features a central chrono seconds hand and a 30-minute recorder at 12 o’clock. The Seamaster Bullhead Rio 2016 Limited Edition was released exactly one year ago. Only 316 of these pieces will be made available. 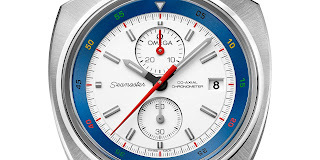 There’s one in my local Omega Boutique in Taipei 101 and I have to say the watch looks stunning. Further features include power from OMEGA's exclusive Co-Axial caliber 3113, and stamped with the Rio 2016 Olympic Games logo on its caseback. 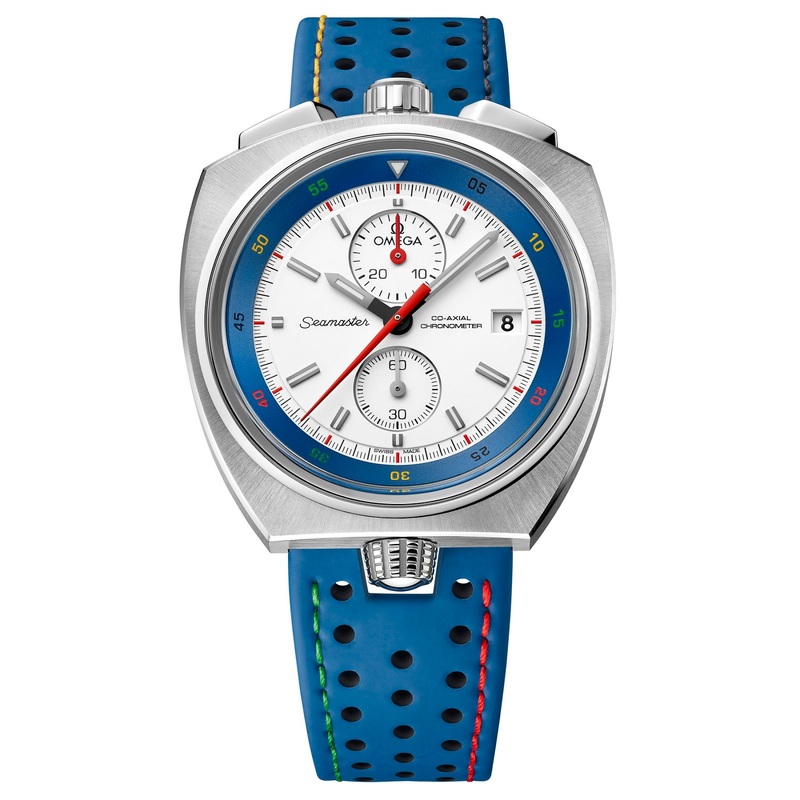 Next up is the Seamaster Diver 300M Rio 2016 Limited Edition also made in celebration of the Rio Games. This colorful new version of the Seamaster Diver 300M is on sale in a Limited Edition of 2016 pieces. 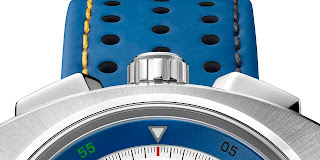 Special features of the watch include a special patterned dial that is supposed to recall the wavy mosaics on the sidewalks of Copacabana (spelt it correctly this time!) –a black ceramic bezel inlay with its markers in the four colors of the Olympic rings and a special Rio 2016 engraved caseback with the watch’s LE# / 2016. Power comes from an Omega coaxial 2500 caliber. MSRP is 4000€.